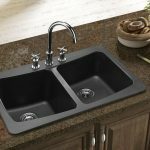 Home » Kitchen » What is Best Kitchen Sink Material? 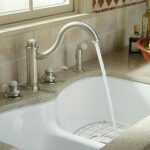 Best kitchen sink material is pretty important when you are going to remodel or install a new kitchen set in your home. 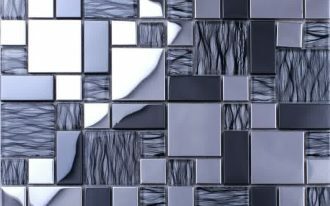 Sometimes, you have a plan of remodeling the kitchen but you still have no idea about the best materials for your kitchen, especially for the sink. 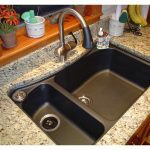 Luckily, here is an information related to sink materials in brief. 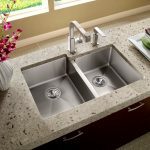 You can use this information as your guideline or reference before choosing the best sink material for your kitchen. 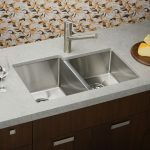 First sink material is stainless steel. 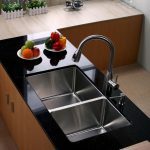 This sink material is most popular material for kitchen sink. 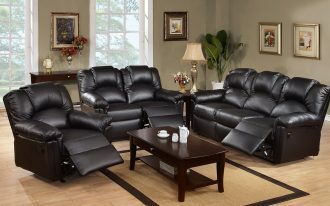 It is stain and heat resistant. 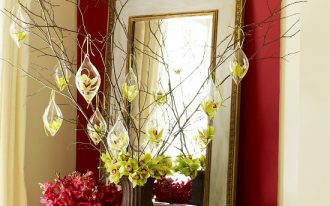 It is also available in many types, sizes, and styles. 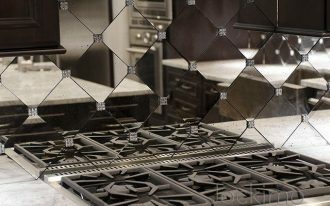 For you who are interested in choosing this kind of material, it would be better if you choose the satin or brushed finish ones rather than mirror finish stainless steel. Why? 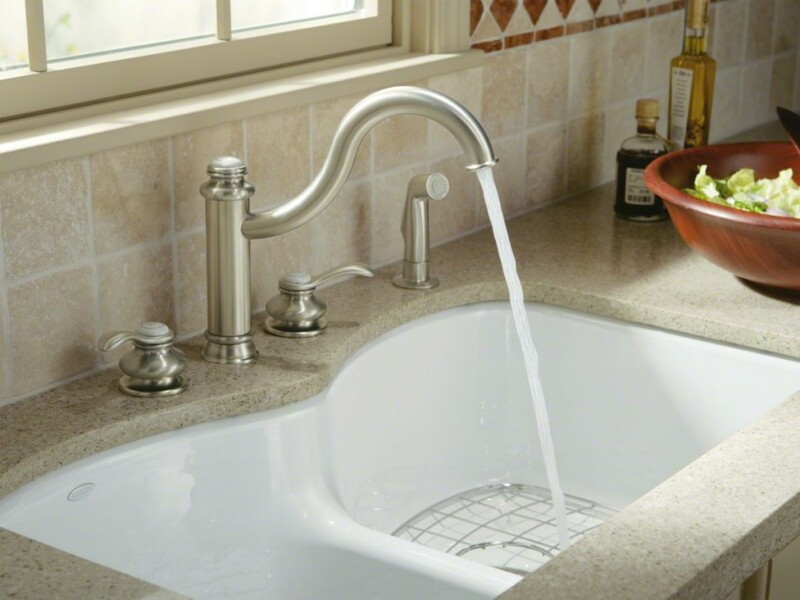 Satin or brushed finish stainless steel will be able to protect the sink from scratches or water mars. 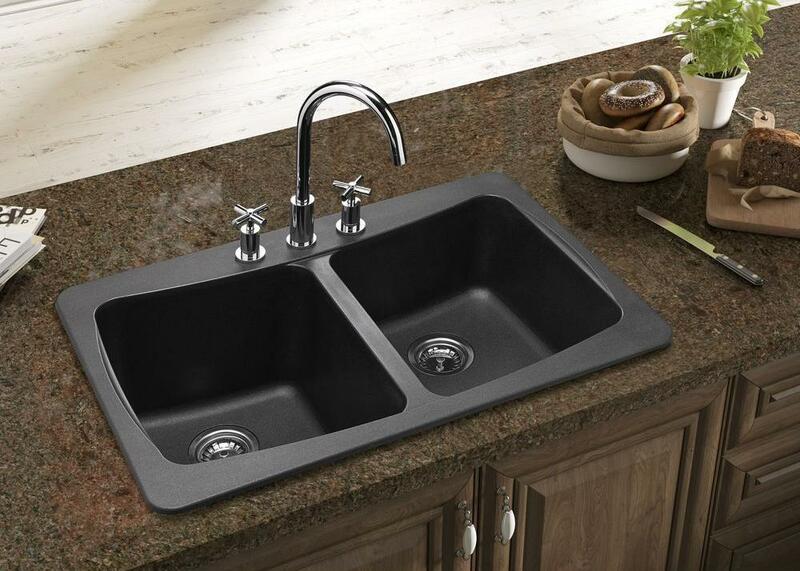 Second sink material is the composite granite. 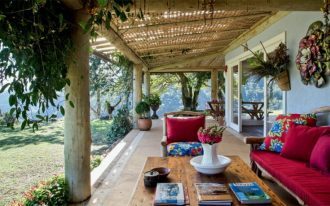 You’ll get many benefits if you choose this one. 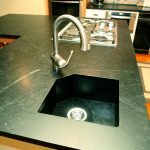 Good looking, anti-water marks and starches, and durable are list of using composite granite for your sink kitchen. 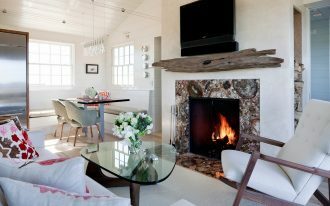 This material comes with huge tones selections such neutral hues, brown, black, dark grays, and many others, but carefully when you use it. 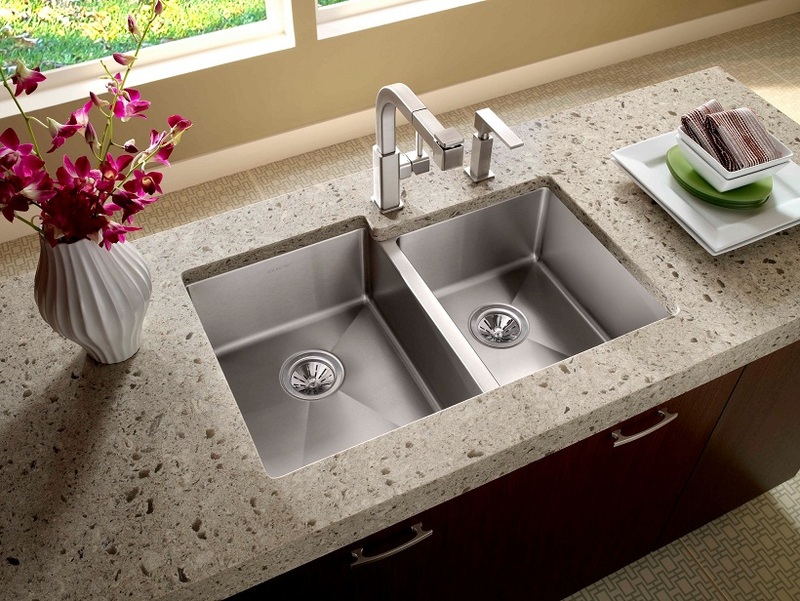 Although granite sink is durable, it can crack if you use it incorrectly. 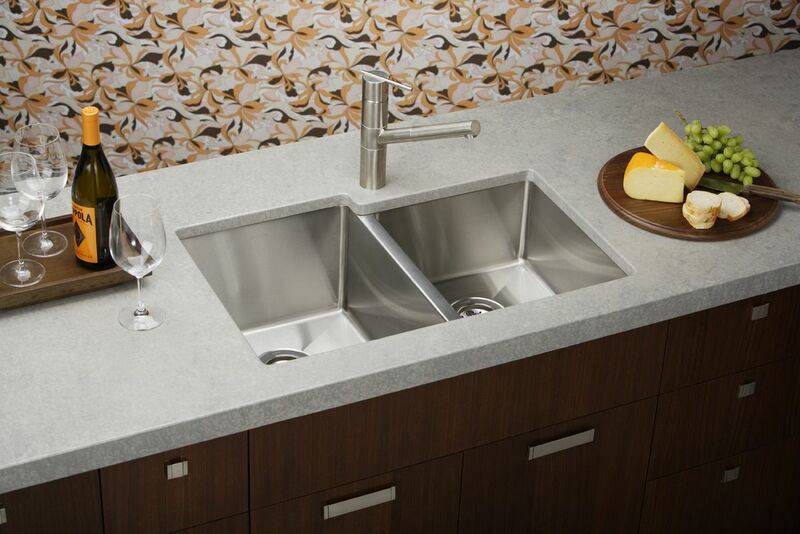 The third sink material for kitchen is fireclay. This material is made from clay that is fired in very high temperature. 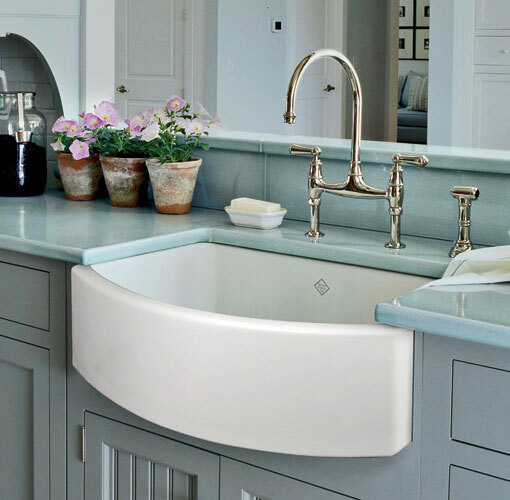 Like stainless steel and composite granite, fireclay sink is also durable and anti-scratches and water marks, chipping, and staining. 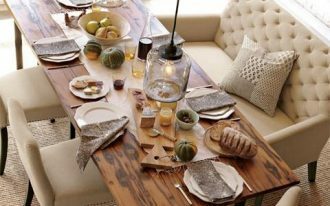 It is also easy to clean up. Cast iron is the fourth sink material used by many people recently. The most beneficial of using this material is that it is most durable sink material among others. 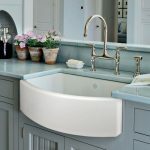 This is very well recommended for you who love luxurious white sink. 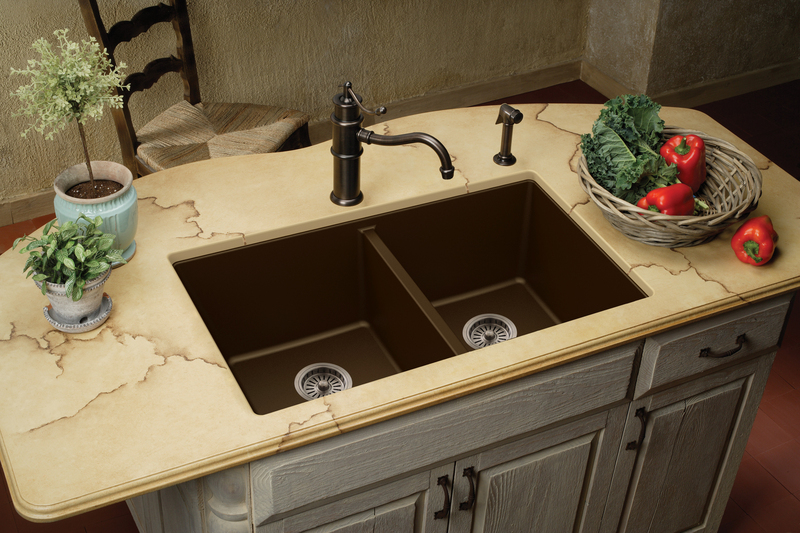 Actually, there are other color options if you wan to have different accent for your sink. 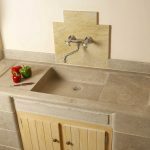 The next sink material is natural stone. 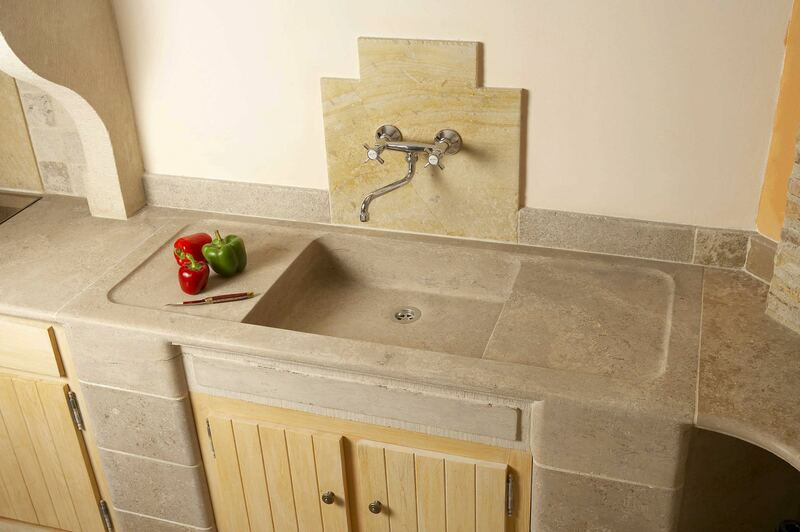 If you choose the natural stone as your countertop, then you have to suit it with natural stone kitchen sink. 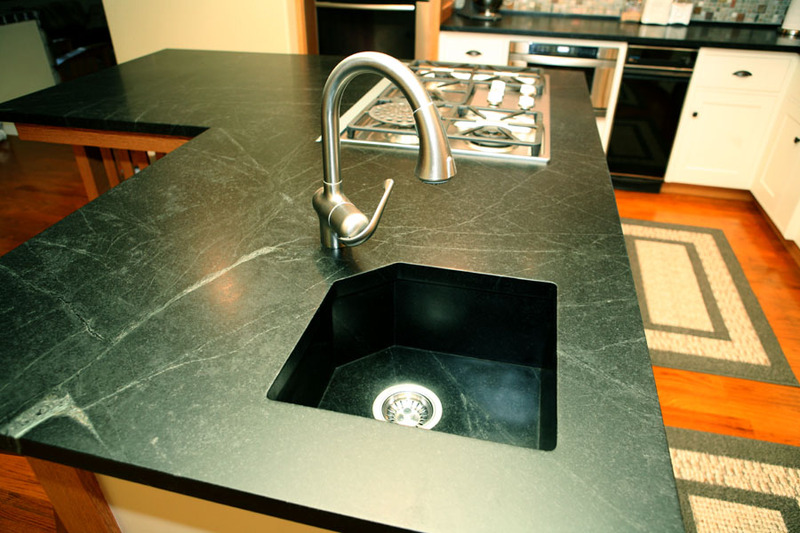 Soapstone, for instance, will be good choice for your kitchen sink. 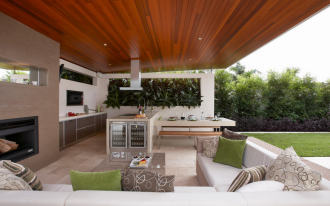 Both will offer you a stunning look for your kitchen. 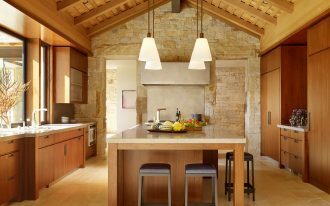 Soapstone is anti-stain and softer. So, you need regular maintenance to keep your sink shiny. 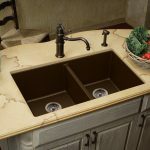 Quartz, solid surface, and copper/ bronze are other selections of best kitchen sink material.